ASPIRIN RESEARCHERS – Scientists in the UTHealth laboratory of Lenard Lichtenberger, Ph.D., are working to reduce aspirin-induced gastrointestinal distress. From left to right are: Lichtenberger, University of Houston undergraduate student Ye-Kyung Song and UTHealth Senior Research Assistant Loc Nguyen, M.D. Healthy volunteers with an age-associated risk of ulceration receiving PL2200 had 70 percent fewer gastrointestinal ulcers than those receiving regular aspirin. The 201 volunteers for the study were divided into two groups and given a low dose of either form for seven consecutive days. Participants were between 50 and 74 years of age. Findings appear in a recent online publication of the American Journal of Gastroenterology. While aspirin has multiple uses, the study focused on the ulcerogenic effects of a cardiovascular dose of aspirin. PL2200 has previously demonstrated equivalent antiplatelet activity, which suggests the product is the bioequivalent to regular aspirin in promoting heart health. In addition to aspirin’s use for cardiovascular disease prevention, the importance of developing an aspirin that is safer for the gastrointestinal tract was highlighted in a recent paper in The Lancet, said Lenard Lichtenberger, Ph.D., the lead inventor of the new drug technology, a study author and a professor of integrative biology and pharmacology at the UTHealth Medical School. The paper demonstrated that low-dose aspirin reduces both the incidence and death rate from a number of cancers, he said. 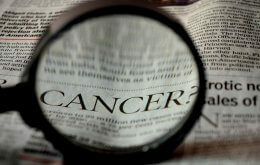 The authors cautioned that aspirin’s cancer benefit had to be weighed against the risk of side effects such as ulcers. “One of the major issues with aspirin is that it causes ulceration to the stomach. Despite all the potential approaches that have been looked at over the past decade, aspirin-induced ulceration remains an issue. Mechanistically, this formulation could give us a solution,” said Byron L. Cryer, M.D., the study’s lead author and holder of the John C. Vanatta, III Professorship at The University of Texas Southwestern Medical Center in Dallas. The digestive tract is safeguarded by a barrier that shields it from stomach acids that break down food. An unfortunate side effect of aspirin is that it can breach this protective gastric barrier inducing ulcers and bleeding. This is particularly a problem for seniors who are prone to gastrointestinal bleeding. The clinical trial was a randomized, single-blind, multi-center study with participating sites in Florida, Oklahoma, Pennsylvania and two sites in Texas – The Dallas VA Medical Center and the Houston Institute for Clinical Research. Ninety-nine people receiving PL2200 completed the study as did 102 people taking regular aspirin. Only 22 percent of the PL2200 group developed multiple lesions and/or ulcers compared to 42 percent in the aspirin group. Five percent of the PL2200 group developed gastrointestinal ulcers compared to 18 percent of the aspirin-treated group. To gauge the impact of the formulations on the GI tract, a tiny device known as an endoscope was used to view the digestive tract before and after the study. The observations were made by endoscopists working at separate sites who were unaware of which formulation patients had received. Lichtenberger, a gastrointestinal physiologist, was among the first to report on the protective benefits of phosphatidylcholine, an ingredient in soybean oil, in the journals Science and Nature. Lichtenberger is the scientific founder, Chief Scientific Officer and shareholder of a Houston company called PLx Pharma Inc., the study’s sponsor. PLx Pharma Inc. is an UTHealth portfolio company founded on Lichtenberger’s technology. According to Lichtenberger, a next step will involve a larger and longer clinical trial to gauge the effectiveness of the formulation in mitigating gastrointestinal distress. Not limited to aspirin, Lichtenberger said phosphatidylcholine may also reduce the gastrointestinal stress associated with ibuprofen and other types of nonsteroidal anti-inflammatory drugs (also referred to as NSAIDs). The study is titled “Low-Dose Aspirin-Induced Ulceration Is Attenuated by Aspirin-Phosphatidylcholine: A Randomized Clinical Trial” and was supported by the National Institute of Diabetes and Digestive and Kidney Diseases and PLx Pharma Inc. Two of the study authors are affiliated with PLx Pharma Inc. Researchers at Baylor College of Medicine, Frank L. Lanza, M.D., and Jing-fei Dong, M.D., Ph.D., also contributed to the study. Deepak L. Bhatt, M.D., M.P.H., who is affiliated with Brigham and Women’s Hospital, Harvard Medical School and the VA Boston Healthcare System, also contributed to the publication.